Carbs are not the enemy – the key is exercise (and it’s not what you think). While we at Roots of Wellness Ayurveda don’t have fancy gizmos to measure specific metabolism of carbohydrates and fat, we recognize the same symptoms (sluggishness, inability to lose weight despite diet changes, and increased blood sugar levels) as kapha vitiation, and prescribe a combination of agni kindling herbs, spices, and practices including regular daily walks to stoke your “metabolic fire.” Simple specific and tailored seasonal dietary advice never vilifies food (or food groups), but rather honors food as the source of blood and body building health. Thanks to science for again confirming Ayurveda’s simple yet profound wisdom. Book your appointment today bit.ly/new-client-ROWA or schedule that long overdue follow up bit.ly/return-client-visit. Contact us at (720)506-5659. Inigo San Millan has good news and bad news for those determined to make this the year they get healthy and shed some pounds: carbs are not the enemy, but you and your well-worn couch need some time apart. 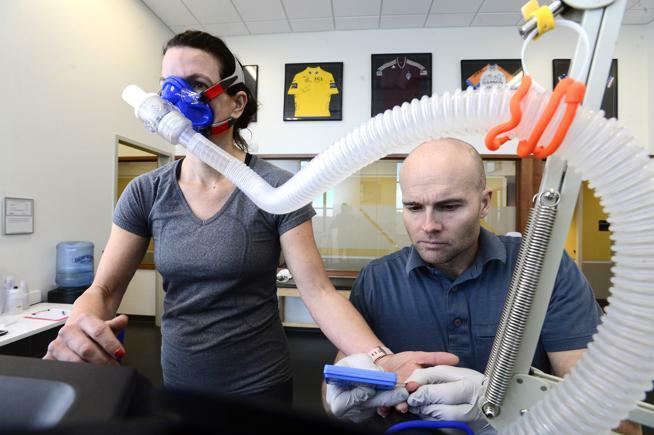 The physiologist and University of Colorado director of the Sports Performance Program’s research found success in weight loss and fending off cardio-metabolic diseases lies in metabolic flexibility. “Metabolic flexibility is the ability for your body to quickly switch back and forth between fat and carbs, efficiently using whatever fuel sources you throw at it,” San Millan said. This kind of flexibility doesn’t hinge on an ability to touch your toes, but on the state of your mitochondria. A flashback to high school biology should recall mitochondria as the powerhouse of the cell, responsible for burning through fat, carbohydrates and lactate. General symptoms of metabolic inflexibility include: sluggishness, trouble losing weight regardless of dietary changes and increased blood sugar levels. For a more accurate diagnosis, San Millan developed a non-invasive method of assessing the mitochondria’s performance he initially used to gauge the metabolic flexibility of athletes. The physiologist now uses a streamlined version of the test — “metabolic rehabilitation” — for the general public involving a brisk treadmill walk or stationary bike ride while wearing a mask that measures how efficiently the subject utilizes fat and carbohydrates. By 2018, San Millan said the test will be covered by some insurance companies. The exercise is key, San Millan said. Continue reading at the Daily Camera.